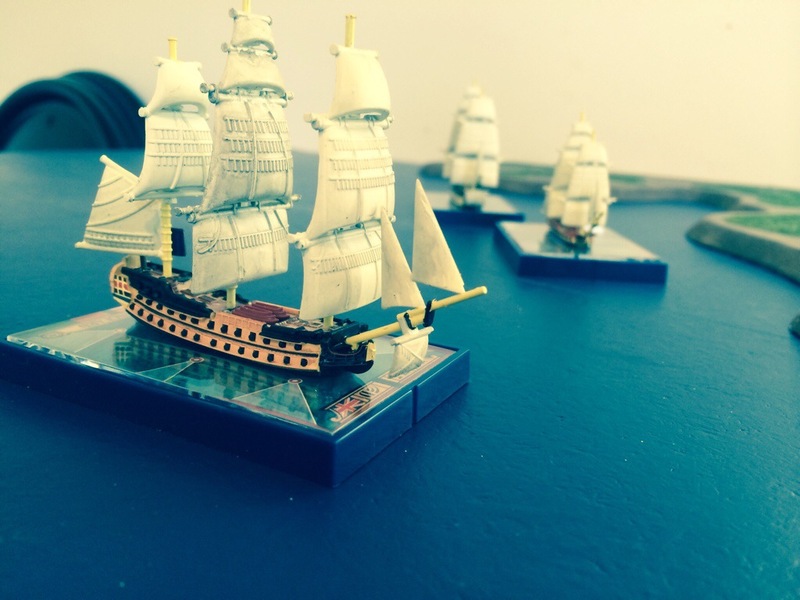 During July Alastair introduced us to “Sails of Glory” a game from the stable of “Wings of Glory” which recreates naval battles in the Napoleonic period. I rather enjoy Wings of Glory, especially as a low stress multiplayer game at the end of the week, yet I must admit I suspected that Sails of Glory would have limited appeal, being limited to a two dimensional game. As it turned out I was wrong. In our first game we deployed a couple of frigates and took to the high seas. The manoeuvre system took a little getting used to but we soon started to get our heads around manoeuvring and the impact of wind on these manoeuvres. The system uses card movement, as with Wings of Glory, with the speed of ship movement is modified by the relationship of the ship to the wind and the sail settings. Advanced rules modify the movement further due to damage to the masts. The combat system is particularly well designed. Fire is conducted at different ranges, much like Wings of War, however different cannon loads modify which damage deck is used. These include normal shot, double shot, chain shot and grape. The type of ammunition must be defined when loaded well prior to firing and different loads target different parts of the vessel more effectively than others. I found I needed to clear my guns after loading the wrong ammunition at one point. 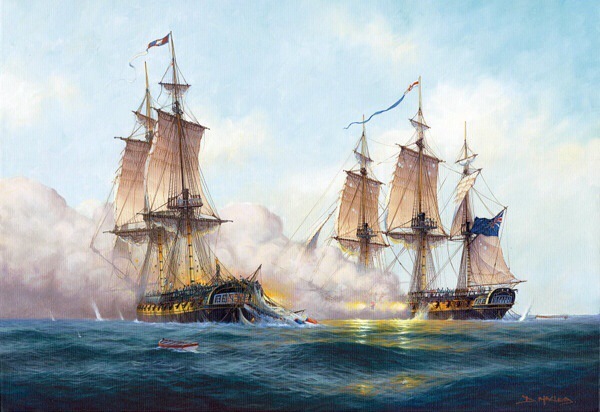 At close range musket fire can be used to inflict damage, and if the ships grapple boarding actions can take place. Anyway after some training in the frigates, which are reasonably nimble, the other evening we deployed some ships of the line. These vessels were far less nimble but their ability to both dish out, as well as receive damage, was impressive. Above, the British third rater Vanguard prepares to engage the French frigate Unite and ship of the line Genereux, both visible in the distance. Currently running at Te Papa, the National Museum of New Zealand is a special exhibit which may be of interest to some of you. It is entitled “Aztecs Conquest and Glory” and it opened today. It runs until the 9th of February 2014. Today my son and I managed to visit the exhibit while in Wellington. The exhibit opens with a section on the foundation and development of the Aztec civilisation within the Mesoamerican context. The exhibit then looks at religion and religious beliefs in some depth. Everyday life is considered and to an extent the city. A small but interesting section covered Aztec warfare. 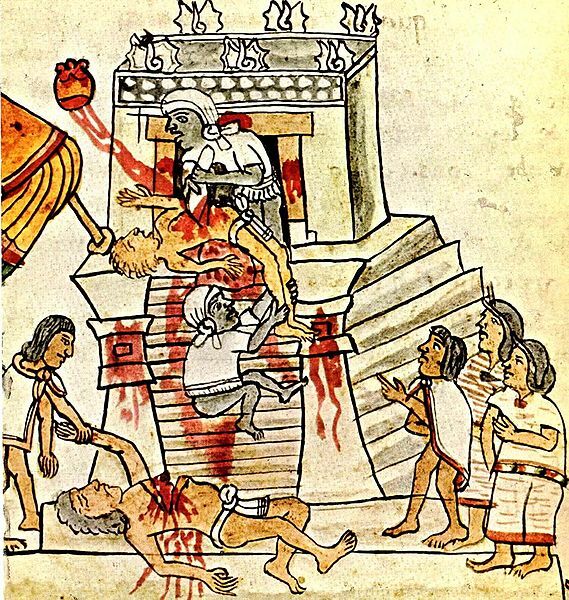 Finally the final section covered the destruction of the Aztecs at the hand of the Spanish. Lacking background on Mesoamerica in general, and the Aztecs in particular, I found the various story-boards both interesting and extremely informative. These story boards were well supported by clear and interesting mix of artefacts. Some were of course small but several large and full scale statues add scale to the exhibit. 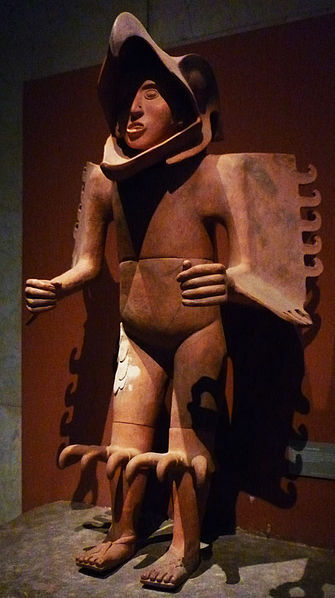 An example is the large ceramic Eagle warrior below, itself around six feet in height, and similair to that at the exhibit. The artefacts and story-boards combine to provide a rich and en-lighting insight into the Aztecs. I encourage you to visit Aztecs Conquest and Glory. 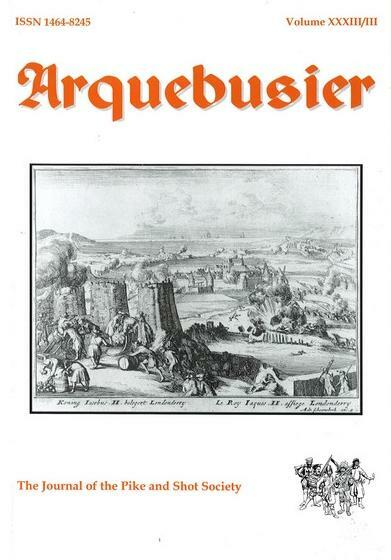 Around a week ago the latest edition of Arquebusier, the Journal of the Pike and Shot Society, arrived. This issue, Volume 33 Issue 3 has been a while in preparation. However, it is to be expected as Aruebusier has a less regular publication schedule than some magazines and subscriptions are not defined by calendar year. However, as with previous issues, it has been worth the wait. The first article was without doubt the feature article of this issue, being some 19 A5 pages and part one of what will be a three or four part series. Starting with an introduction to the situation the author Peter Lenders then considers the armies, both Spanish and Orangist in some detail. This series promises to be a fascinating covering a war I must admit to knowing little about. While I am yet to read all the other articles in this issue that on the siege of Londonderry, and in particular the naval aspects of it, look also to be of particular interest and substance. If you are interested in finding more out about the Pike and Shot Society the society website can be found here. 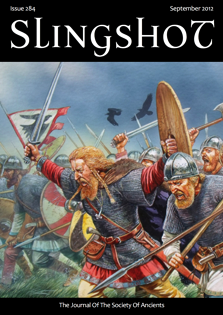 Recently arrived is the latest edition of Slingshot, the Journal of the Society of Ancients. It has been somewhat delayed, being the September issue, but to be honest it has been well worth the wait. This edition has seen the page count pushed out to 52 pages many of which are now colour. Better still is the interesting mix of articles. As way of detail here is what is covered in this edition. While not well read on Dark Ages battles I rather enjoyed the article on Clontarf and of course enjoying DBA found Martin Smith’s tournament reports in the UK of particular interest. The article on casualties was also of interest, focussed as it was on classic battles. Better still is there remain plenty of other articles to read over the coming evenings. If you have an interest in the Ancient and Medieval military history I would recommend a subscription. Details can be founds here.